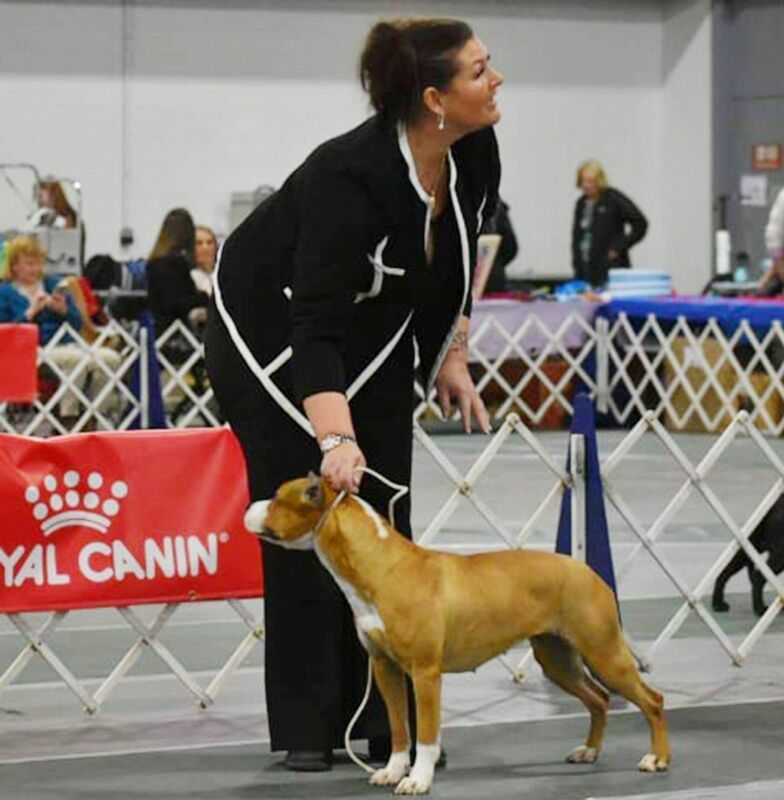 The prize-winning show dog that disappeared in one of the world’s busiest airports for three days after being checked in for a flight has been found. Gale, a pure-bred American Staffordshire terrier whose owners live in Amsterdam, has been found and reunited with her family, the Hartsfield–Jackson Atlanta International Airport announced in a tweet Tuesday afternoon. The pup was being shown in the United States by her handlers and had one final event in Louisville, Kentucky, on Saturday before flying home. It was not immediately clear where she was found. The handlers brought Gale and another dog to the Atlanta International airport, where they checked in for their KLM Royal Dutch Airlines flight and went through security. Not long after the handlers boarded the Amsterdam-bound plane in Atlanta on Saturday afternoon, they were informed that Gale’s kennel was found empty when crews went to load her crate onto the aircraft. The handlers immediately called her owners. “There’s a sense of hopelessness and powerlessness because there’s nothing you can do,” he added. (Obtained by ABC News) The American Staffordshire named Gale is seen here in an undated file photo. Authorities and airport officials, including wildlife biologists on staff, have been trying to track down the dog ever since. Gale was last spotted Monday morning around 3:30 a.m. local time. Gale’s owners described the dog as “friendly” and “loving,” but said she is likely scared and skittish in an unknown area. ABC News’ Julia Jacobo, Jeffrey Cook, Nicholas Coulson, Janice McDonald and Marissa Parra contributed to this report.